Last month I wrote about the importance of being an artist with a knowledge of what’s going on Behind the Board. 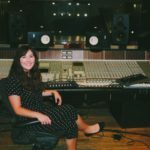 This month I am starting a three month themed blog about the process of recording a four-piece band. For the first blog, I will be sharing how to pick out mics for (my favorite thing to capture) drums, the second blog will be all about guitars/bass, and the third will be about getting the icing on the cake during a vocal session. Drums. The base of every song. The very instrument that I may go as far to say- determines the vibe of your song. For that very reason, I recommend getting your drums feeling good first. How do you do that you say? There isn’t a “correct” way of doing anything in recording. It’s a creative endeavor. There are NO right or wrong answers. So let me be clear, I am by no means telling you HOW to mic drums. I’m just going through the steps I have taken to get good drum sounds in the past. Of course, over time you will find your own ways to get tones you like as well. First step, is pre-production. So, let’s assume you have already heard a demo of what you’re client is recording. This way you know how to create a plan of attack for the drum sound in the song. After that, your second step is organization. I always print out a mic sheet with columns for wall inputs, mics, preamps, EQ/compression, and Pro-Tools inputs. Organization is always crucial when recording, but I would have to say MOST important when recording drums. There are (most of the time) several mics on the kit, some of which may require phantom (48v), some may not. Either way, you don’t want to accidentally send phantom to a microphone that doesn’t need it (aka, ribbons). Now when it comes to picking out mics, you can get VERY creative, so to avoid writing a three-page blog- I’m just going to go over a pretty simple setup, basically my “go to” for good drums tones. Snare top: I’m using an SM57 because this microphone is good at focusing on precisely what it is directed at- the snare. I don’t want to pick up too much of the cymbals that are around this mic, so any kind of dynamic microphone is almost always a good choice. Some people use crash guards. I recommend messing around with one, so you can see the difference it makes in how your snare sounds, and the overall effect it takes on the sound of the kit. The snare top is the only piece of the kit I used an outboard EQ on. I used the Little Devil EQ because I always, ALWAYS want to have a great fundamental and crack on the snare from the very beginning of recording the drums. Rooms: I chose the Royer 121. These are fantastic ribbon microphones. Like the Coles, they can also be a tad dark, but as a room mic on a drum kit- it’s quite lovely. The bullet points you just read were mostly about why I picked each mic. These next bullet points will be about placement for this mics. Toms: basically what I said about positioning the snare mics. Overheads: Overheads aren’t as tricky as they may seem! The trick with overheads is finding good phase. What I do to get good phase is first I place the mics. I place the left mic above the snare and point it down at the snare. Now with the other mic, I just aim it a little past the drummers ride cymbal and point it down. Once the mics are roughly placed, I like to grab a mic cable, place one end on the middle of the snare, stretch it to the middle of one mic and then to the other. This is to check and see if they are both equal distances from the snare drum (because, phase). Like I said before, all of this is just my version of the basics of mic-ing a kit. There are no right or wrong ways. You don’t always have to have good phase. You don’t always have to use a dynamic mic on the snare. If it sounds good, hey- IT SOUNDS GOOD. Always trust your ear. Follow where your creativity flows. With that being said, I hope you enjoyed this month’s blog post. I had fun writing it. Feel free to use this mic setup or something similar next time you are recording drums, and if you want to send me your results- please do. Virginia Haladyna is a musician, songwriter, performer, and freelance recording engineer based out of Austin, Texas. Upon graduating from The Recording Conservatory of Austin, she went on to intern and worked out of the world-class Orb Recording Studios. She has recorded two full-length albums, EPs, and multiple singles for local Austin bands. As well as recording other artists, Virginia records and mixes her band Happy, Hollow. 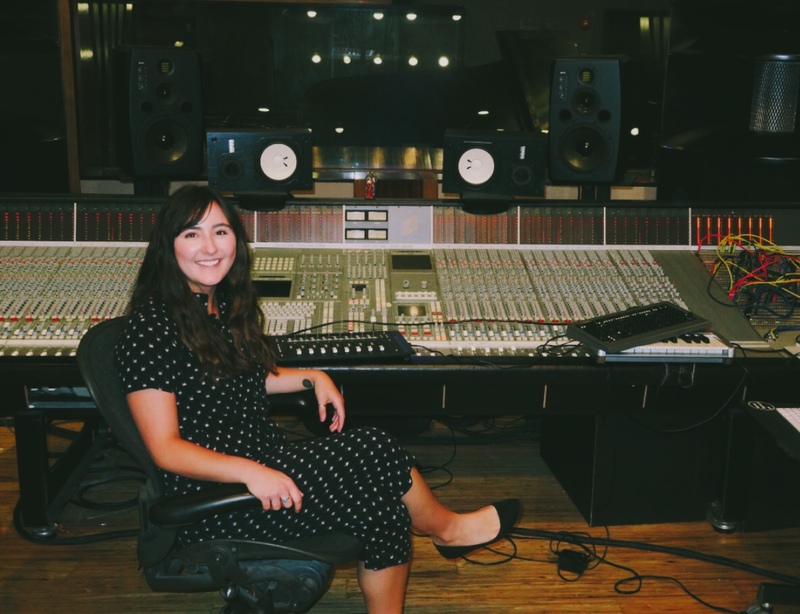 She’s assisted sessions alongside established musicians, producers, and engineers the last four years and plans to continue honing her craft for many more.